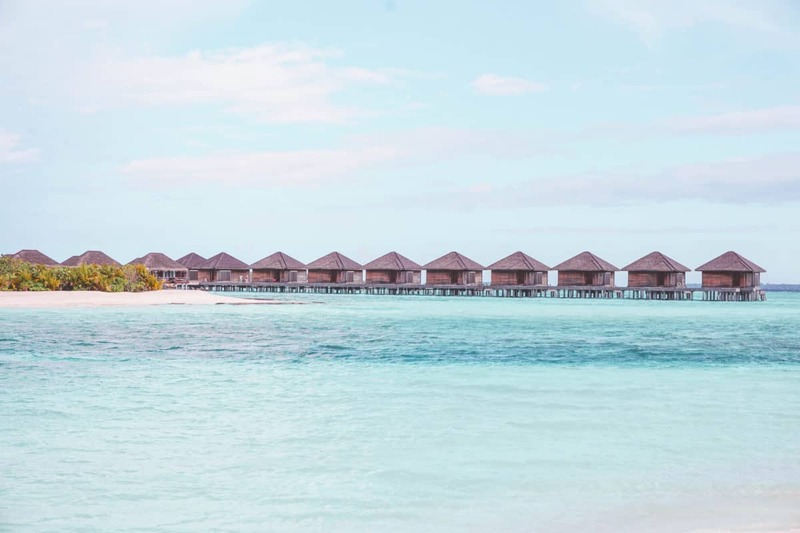 While you might think that picking a resort in Maldives is as easy as picking the best rated one, it’s not that easy at all. 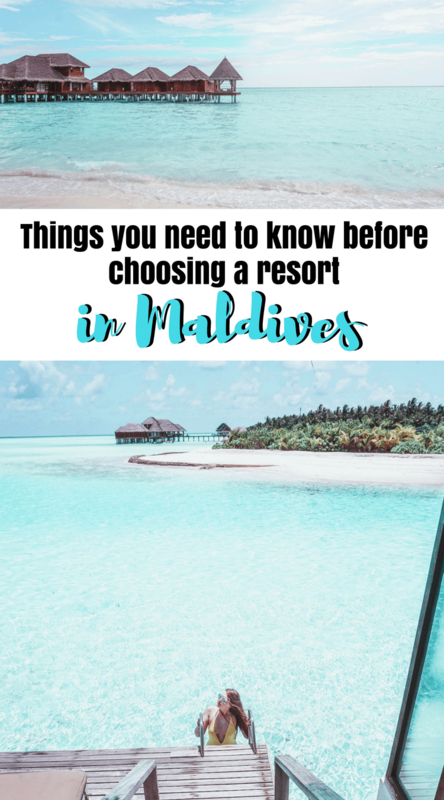 In total, I probably spent 2 weeks choosing a resort in Maldives and it all came down to 3 options. So how to choose a resort in Maldives? You will find it out very soon! When choosing a resort in Maldives, you have to think of the limitations. So what are the common limitations for choosing a resort in Maldives? 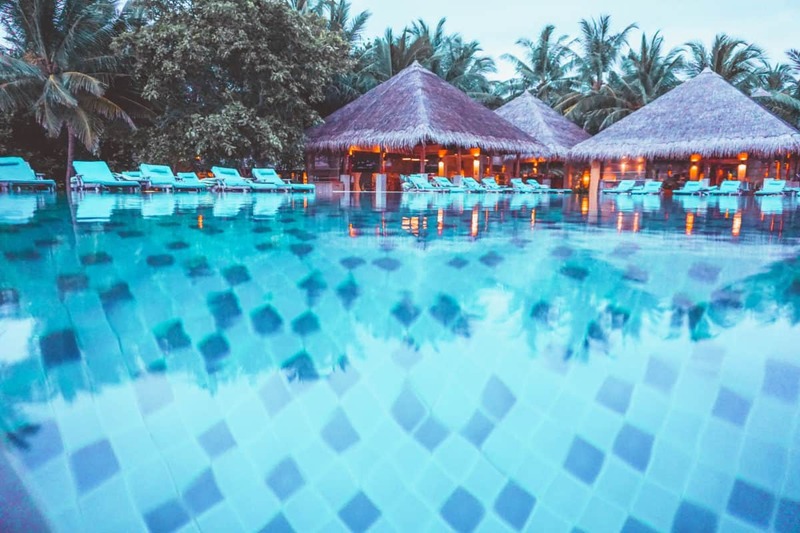 How to choose a resort in Maldives? First of all, you’re limited by price. There are plenty of properties in Maldives, ranging from very affordable guesthouses to luxurious state-of-the-art resorts. 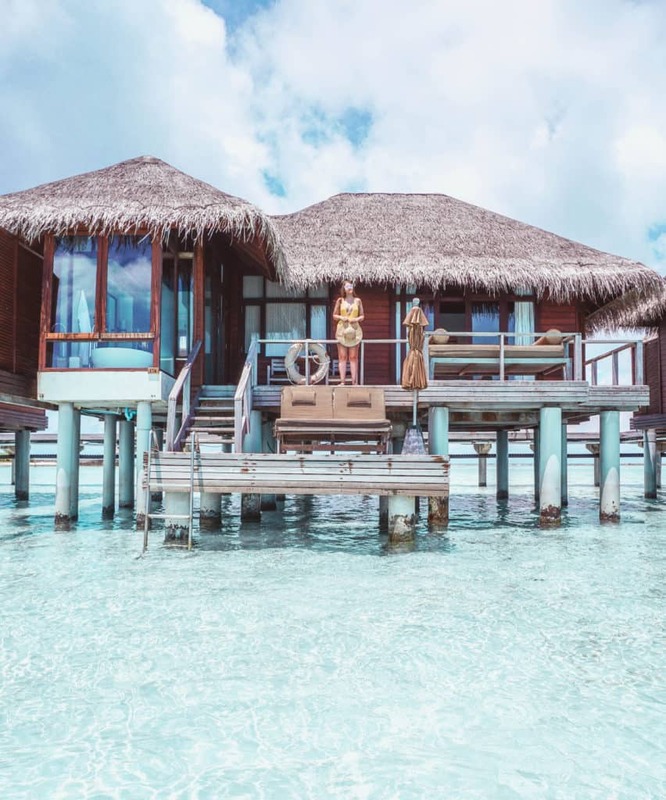 You can find something decent for as low as $100 per night or you could be renting a private overwater villa with a water slide for $15000 per night. I always wanted to stay in a water villa, hence it was harder to find an exceptional hotel for a decent price. But I’d say you can find a water villa in a 5* resort starting from $350-400 per night! 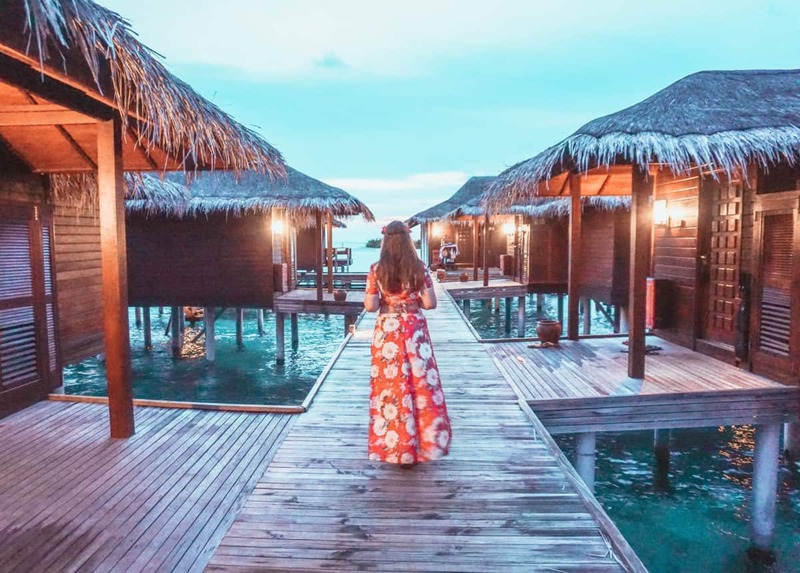 We stayed in Anantara Veli and really loved it – check the prices for the hotel & availability for your dates here. Well, well, well! Getting to certain resorts is quite complicated – you always need to check the description of the hotel very carefully, as you might find out that you need to take another domestic flight plus a speedboat. Also, if your flight arrives after 3pm (sometimes 4pm), you can’t take a water plane anymore and need to stay overnight in Male (which is not desirable at all – not many people are fond of Male). Our flight was arriving at 3 pm, so literally 70% of the hotels weren’t an option for us! Also, note that there is always a supplement for the transportation to the hotel – around $800-1000 for two for a water plane and $200-600 for a speedboat. Alright, you probably know that due to the location of Maldives, getting food there is really really expensive. Especially to those tiny islands scattered across the ocean. Don’t expect the food prices to be low in Maldives. Most of the hotels in Maldives are actually BB (breakfast only) or HB (half board), while some offer FB and all-inclusive. I’ve seen all-inclusive hotels for as low as $400-500 per night (per room), but don’t expect the food quality to be great. We only had breakfast and the quality of it was really amazing, however, food in the restaurants was so expensive, that most of the time we were just skipping lunches or eating something really light. How expensive would be a dinner in one of the restaurants of the resort? Average price of a starter: $28, main course $38, drink – $15 (glass of wine) x2 people plus taxes and service charge, so in total about $210 per dinner for two people. A lunch would be slightly cheaper, maybe just a $100-120. So don’t forget to allocate a budget for additional $300 per night in the hotel just for food or better get HB of FB plans! When choosing a hotel in Maldives, we realised that not all the water villas are created the same. We saw that many water villas in different resorts didn’t have direct ocean access. Secondly, if you get the cheapest villa category, most probably, you will have a villa in a poor location (e.g. where a boat stops or all the people walk or there is a reef and you can’t really swim or so on). Finally, some villas can apparently become beach villas in the morning – we were unlucky and got one of those (we weren’t happy about it at all, complained and got a way better villa, but I’d prefer not having to complain in the first place). It’s nice to stay in a resort with its own coral reef – in this case, you’ll be able to snorkel without even leaving the hotel. I didn’t really do any snorkelling before, so in Maldives I totally fell in love with it and saw an incredible amount of beautiful fishes! 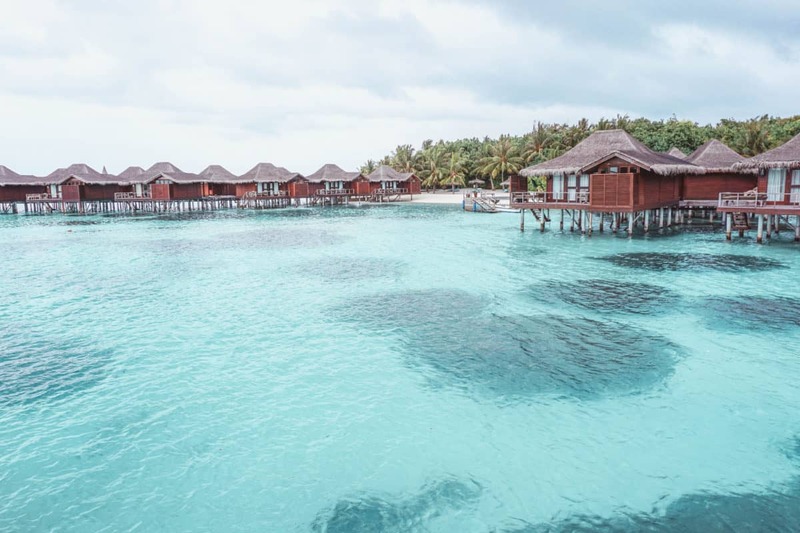 You can check the reviews before selecting a resort – some of the resorts don’t have a coral reef on their territory and you’ll have to take a tour to go to one. I wanted to bring my drone with me very badly, but actually 97% of the resorts now prohibit drones! So it makes sense to contact the hotel in advance to see, if drones are allowed. Any questions on picking a resort? We’re happy to answer them in the comments! 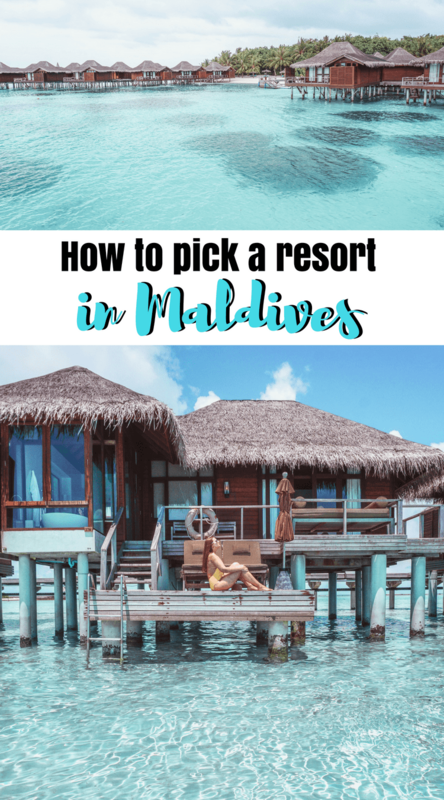 Liked this post about how to choose a resort in Maldives (or how to pick a hotel in Maldives)? Share it on Social Media! Is Bali worth the hype? My trip to Bali in December: a week of rain! How to get from Siem Reap to Bangkok? Bus, train or airplane? I do like that you point out the importance of knowing the location of the villas before you choose a resort. This really applies for any resort you’re planning to stay at because it could effect the way you plan your vacation. For example, you may want the resort to be close to a town so that you can go shopping if you need to.